Nek Chand Saini, creator of Chandigarh’s iconic Rock Garden passed away on 11 June 2015 in Chandigarh. He was 90. He was born in Berian Kalan village in Shakargarh region (now in Pakistan). He was as a self-taught Indian artist. He had emigrated to India with his family during the partition in 1947 and had settled in Chandigarh in 1950. 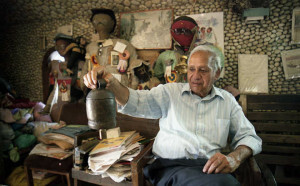 In 1951, Nek Chand had started working as a road inspector of the Chandigarh’s Public Works Department (PWD). During this time Chandigarh was redesigned as a modern utopia by the Swiss/French architect Le Corbusier and became first planned city in India. Awards: Nek Chand was awarded the Padma Shri in 1984. Initally, Nek Chand Saini had built Chandigarh’s iconic Rock Garden secretly from waste and other unused household materials in a forest near Sukhna Lake which is spread over an area of 40-acres. His secret environmental marvel was later discovered in 1972 by the municipal authorities. Later he was provided with a team of labourers and financial support to enable him to continue his work. The site famously came to be known as the Rock Garden. It was officially recognised in 1976 and became a key tourist attraction of Chandigarh. The research study was undertaken by international team who had looked for evidence of current or past infection in more than 800 dromedary camels (also called Arabian camels). 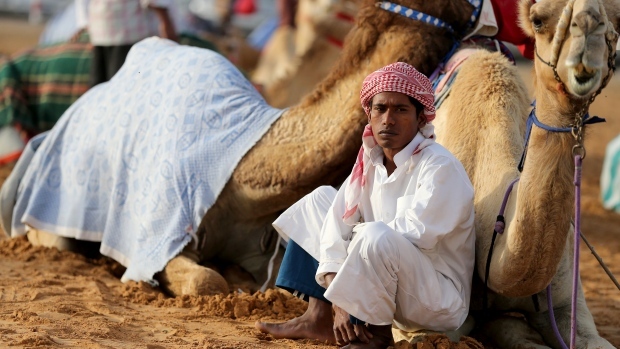 More than 90 per cent of camels were infected by MERS virus the age of two and virus shedding was more common in calves than in adults. Changes in animal husbandry may reduce the occurrence of human MERs infections. Dromedary camels that are living in the Middle East have antibodies that recognised MERS virus protein which is a strong sign of past infection. However the spread of MERS virus in humans is still unknown but it might spread due direct contact with body fluids from infected camels. Alternatively, it might have spread by drinking unpasteurised camel milk and possibly by transfer through the contaminated virus present in the saliva of an infected calf to their mothers. MERS belongs to the family of coronaviruses which includes large family of viruses such as common cold and Severe acute respiratory syndrome (SARS). It was discovered in 2012 and was mostly centred in Saudi Arabia. But cases might have occurred before. Source:MERS is a betacoronavirus derived from bats. Camels have shown to have antibodies to MERS, but the exact source of infection in camels has not been identified. Transmission:It can be transmitted from infected person to others after close contact via a respiratory route. It spread’s in droplets when an infected person coughs or sneezes. Symptoms:fever, breathing problems, pneumonia and kidney failure. Treatment:Till date there is no vaccine available to prevent it. However intensive medical care can help patient to breath. The International Renewable Energy Agency (IRENA) has announced that in past one decade renewable energy targets have quadruple globally. It was mentioned IRENA Renewable Energy Target Setting report which was released by IRENA Director-General Adnan Z. Amin on the side lines of IRENA’s 9th Council meeting in Dubai. As per report, 164 countries have adopted at least one type of renewable energy target compared to 43 countries in 2005. All nations are adopting renewable energy targets to meet multiple objectives including energy security, environmental sustainability and socio-economic benefits. Developing and emerging economies are leading nations to adopt of renewable energy targets, accounting for 131 out of the 164 countries. The majority of 150 countries have focused committed renewable energy targets on the electricity sector. The numbers of countries setting renewable targets for the heating and cooling sector have increased to 47 from 2 countries in 2005. Similarly, renewable transport targets have also has doubled to 59 countries from 27 countries in 2005. IRENA is an intergovernmental organization to promote adoption and sustainable use of renewable energy. It is a global hub for renewable energy cooperation and information exchange within its member nations. Founded:in 2009 and its statute entered into force on 8 July 2010. Two governing structure:IRENA Assembly which takes decisions at macro level and gives policy guidance. IRENA Council is main governing body and is responsible for implementing various decisions of assembly. Members:In total it has 140 Members. India is one of the 33 Permanent and founder members of IRENA. The second border haat (rural market) was opened for common people at Kamalasagar in Sipahijala district of Tripura bordering Brahmanbaria district of Bangladesh. 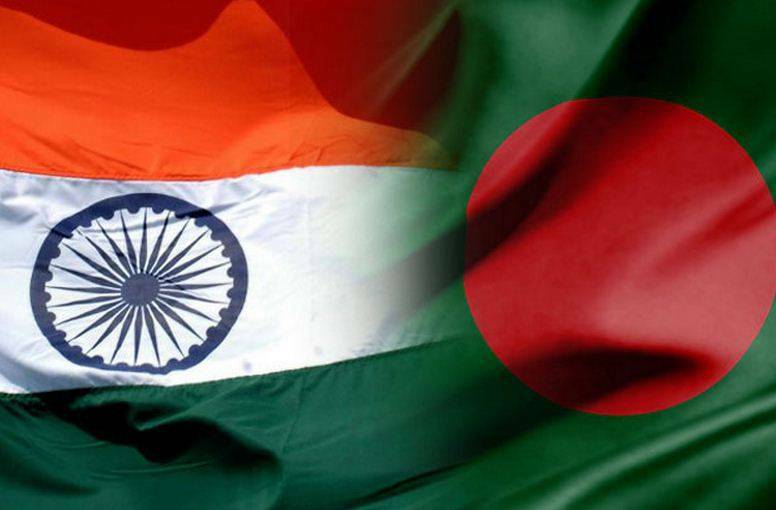 The haat was jointly inaugurated by Prime Minister Narendra Modi and his Bangladesh counterpart Sheikh Hasina by video-conferencing from Dhaka on June 6, 2015. This market is set up at the zero line of the international border with one part on the Indian side and the other in Bangladesh. Initially it will facilitate bilateral trade of 16 shortlisted locally produced goods. These goods include agricultural and horticultural crops, spices, minor forest products excluding timber, fish and dry fish, dairy and poultry products, cottage industry items, wooden furniture, handloom and handicraft items. People residing within a distance of 5 km from along the border are entitled to do business at the haat which will take place once in a week initially. No local taxes would be levied on the goods sold in the haats and currencies of both the countries would prevail. It is anticipated that the haat will provide basic livelihood opportunities to more than thousands of marginal income families and small traders along this border areas of both the countries. First border haat was inaugurated on Srinagar- Purba border area in January 2015 by Union Commerce and Industries Minister Nirmala along with her Bangladeshi counterpart Tofail ahmed. 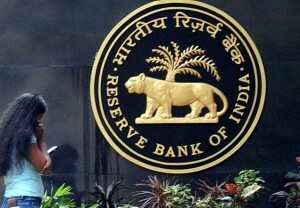 Reserve Bank of India has allowed non-resident Indians (NRIs) to invest in chit fund to encourage flow of capital into the country. Decision in this regard was taken after RBI had revised the extant guidelines for subscription to the chit funds in consultation with the government. Henceforth, NRIs on non-repatriation basis will be allowed to invest in chit fund without any ceiling. However, the subscription to the chit funds by NRIs will be mandatorily brought in through normal banking channel, including through an account maintained with a bank in India. The state government may permit any chit fund to accept subscription from NRIs on non-repatriation basis. It will be permitted by the registrar of chits or an officer authorized by the state government in accordance with the provisions of the Chit Fund Act, 1982. Earlier in May 2000, RBI had barred NRIs from investing in a company or firms engaged in the business of chit fund. 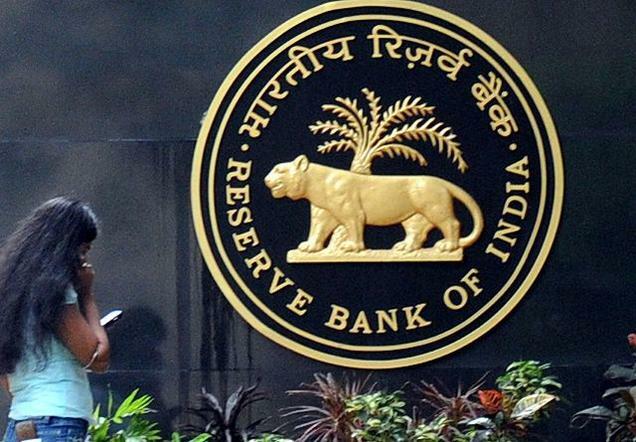 Apart from this decision, RBI also extended the scheme allowing airline companies to raise external commercial borrowings (ECB) for working capital as a permissible end-use under the approval route. Now, the ECB scheme will continue till March 31, 2016. Legendary English actor, singer and writer Sir Christopher Lee passed away in London, United Kingdom. He was 93. 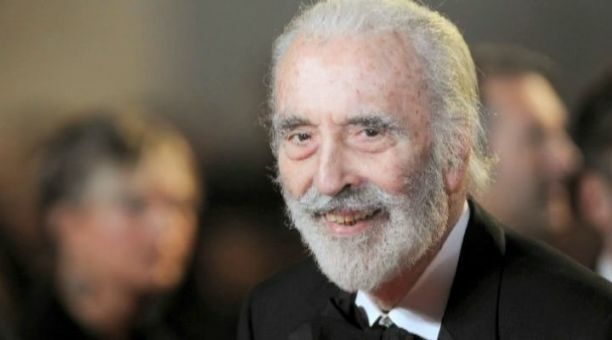 The veteran actor was famously known as the master of horror for his famous villainy acting roles in numerous movies such as Dracula, The Wicker Man, James Bond, Lord of the Rings trilogy etc. Christopher Lee was born in London in 1922 Film career: His on screen acting career began in 1947 after he had the Rank Organisation where he was trained as an actor. His career spanned more than 7 decades. His famous acting roles include Francisco Scaramanga in The Man with the Golden Gun (1974), Saruman in The Lord of the Rings film trilogy (2001–2003), The Hobbit film trilogy (2012–2014), Count Dooku Star Wars trilogy (2002 and 2005) and Star Wars: The Clone Wars (2008). He also is known for his best performance portraying of Pakistan’s founder Muhammad Ali Jinnah in the biopic Jinnah (1998). Music career: Lee was also known for his singing ability. He had recorded various opera and musical pieces between 1986 and 1998. He also had recorded symphonic metal album Charlemagne: By the Sword and the Cross in 2010 after he had worked with several metal bands since 2005. Awards and Honours: He was knighted in 2009 for services to drama and charity and was awarded the Bafta fellowship in 2011 and Spirit of Metal award (2010). 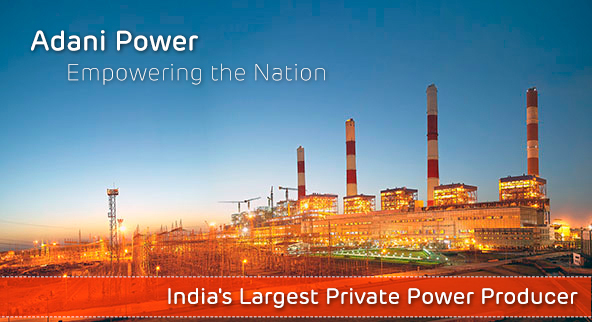 Tamil Nadu Government and Adani Power Ltd in the second week of June signed a Power Purchase Agreement (PPA) to set up a 200 MW solar power plant in Ramanathapuram district. The plant will be constructed with an investment of nearly 1400 crore rupees. The district was chosen by the group because of the fact that it is one of the two districts along with Thoothukudi that receive highest solar radiation in the state. In March 2015, Adani Power Ltd applied to Tamil Nadu Generation and Distribution Corporation (TANGDECO) for a load flow study to establish 1000 MW solar plant at Kamuthi in the district. In 2012, the State government unveiled Solar Energy Policy (SEP) that envisaged generation of 1000 MW every year for three years through utility scale projects, rooftops and Renewable Energy Certificates (REC) schemes. However, the plan did not fructified with the state’s total grid connected solar power achieving a mere 5 percent of its goal due to high capital cost (7 crore rupees per MW) and land requirements (5 acres for 1 MW) involved in setting up solar power plants. As per data released by the Ministry of New and Renewable Energy (MNRE), Tamil Nadu ranks seventh in terms of total commissioned solar capacity till May 2015, contributing just about 3.8 percent of the total capacity of 3.88 GW. In India, Rajasthan and Gujarat lead among the states and Union Territories (UTs) in terms of solar power generation because of the fact that both the states receive high solar radiation and have lot of arid land that is available at low cost. Union Government has scrapped customs import duties for drugs and test kits used to treat Human immunodeficiency virus infection and acquired immune deficiency syndrome (HIV/AIDS). In this regard Central Board of Excise and Customs (CBEC) has issued a notice that will remain in effect till March 2016. This decision will help to cut prices of AIDS drugs across the country and thus help directly in Government’s national program to fight the disease. It will also make import raw materials that are used to make antiretrovirals under the national program cheaper. This tax exemption will be applicable to certain first-line and second-line antiretroviral drugs which are used to treat adults and children. Apart from drugs certain diagnostic kits and equipment are also exempted from tax. 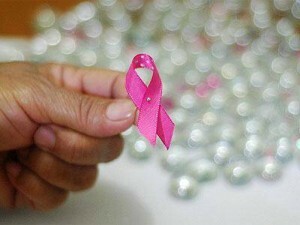 In India more than 2.1 million HIV/AIDS patients are provided with daily antiretrovirals for free from state-run distribution centres which are operated by National AIDS Control Organisation (NACO). World’s largest search engine giant Google Inc has launched a new lite mode of Google search engine for India and Brazil on 2 Generation (2G) network. This lite mode has been developed by keeping the 2G network speed in mind. 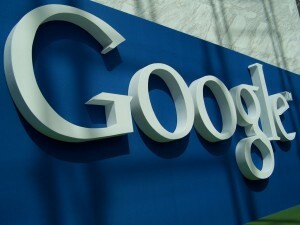 Before launching this feature in India, Google had tested it in Indonesia, where the network speed is similar to India. The new lite mode of Google search engine loads pages four times faster than the traditional webpages and consume 80% less data and penetrate 50% faster connection compared to before. This feature is currently limited to Android smartphones. Around 200 million people in India have access Internet through their smartphones and a majority of them still prefer 2G network due to affordable tariffs. It should be noted that in 2G network, a consumer gets 10KB/s speed in good network conditions, while it goes down to 2-3KB/s in poor network coverage. 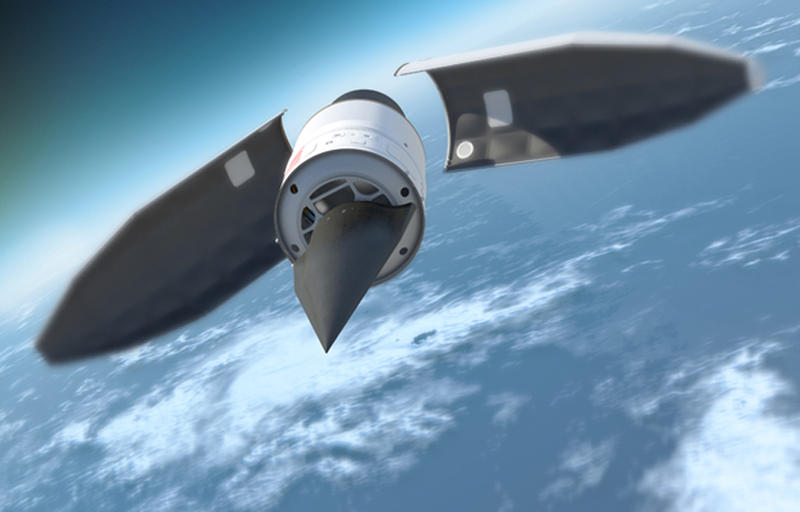 China has conducted the fourth successful test of a new Wu-14 hypersonic strike vehicle which is capable of delivering nuclear weapons. The test was conducted on 7 June 2015 and the vehicle launched atop a ballistic missile fired from a test facility in western China. The vehicle has ability to executed extreme maneuvers that may be able to render US anti-missile defense systems obsolete. This test was the fourth test in past 18 months. Previous tests were conducted in year 2014 in the months of January, August and December. The Wu-14 is capable to travel in high altitude in the atmosphere on the edge of space. It can carry nuclear or conventional warheads. The high-tech vehicle can travel at speeds of up to 10 times the speed of sound i.e. around 7,680 miles per hour. The World Day Against Child Labour is being observed annually across world on 12 June to bring awareness against child labour. 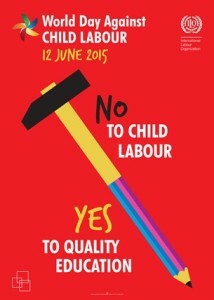 The theme of this year is No to Child Labour, Yes to Quality Education. This year’s World Day Against Child Labour call for: For all children free, compulsory and quality education till the minimum age for admission to employment and action to reach those presently in child labour. New efforts to ensure consistent and effectiveness of national policies on child labour and education. Ensure policies that provide access to quality education and investment in the teaching profession. World Day Against Child Labour is an initiative of the International Labour Organization (ILO). It was launched in 2002 to focus attention on the global extent of child labour and to take action and efforts needed to eliminate it. Since then every year on 12 June, observance of this governments, workers organizations, employers, civil society as well as millions of people from around the world come together to highlight the plight of child labourers and what can be done to help them. According to recent global estimates, around 12 crore children between the age of 5 and 14 are involved in child labour. Main reasons of child labour are poverty, lack of decent work for adults and social protection, and failure to ensure schooling of children.